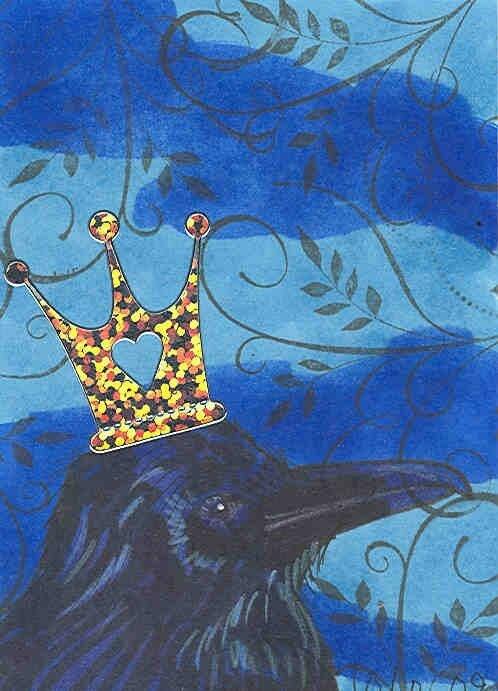 This is another atc I did for a trade. Her Royal Highness in all her crowned glory! The crown scanned yellow but it's not. It will be glittered and shining when you get it! Each notecard measures approx 4x5" and comes with a matching envelope in a cello sleeve.